If you’ve never cut down a tree, Dapperman hair products, and beard oil are not for you. If you own flannel and were wearing a beard before it was “cool,” then their matte clay, pomade, and Egyptian black beard oil should be the only thing touching your hair. Remember Gaston from Beaty and The Beast? He only used Dapperman hair products…for sure. That’s the kind of guy who uses this stuff. So, it’s not for every guy. But for the guys rocking beards and building their own tables, these are the products you should be using. 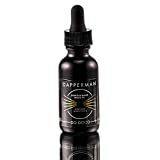 Let’s start with our absolute favorite product from Dapperman, Egyptian Black Beard Oil! We found their proprietary essential oil blend gives your beard a subtle healthy shine and decreases itching for new beard growers. 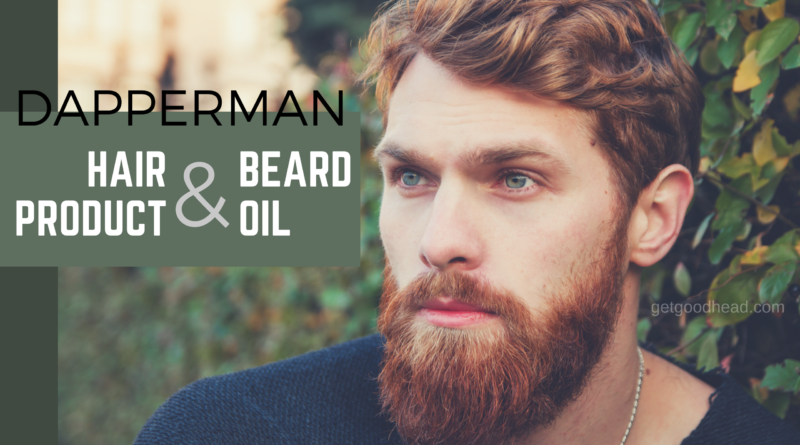 Best used by combing into longer beards, this oil smells exactly like finely chipped wood. Literally, that’s what it smells like. They could bottle this as an incense and we would buy it. The smell is intoxicating. Women and men love the way this stuff smells. Before applying beard oil, make sure you have fully cleansed your facial hair. After your hair is fully dry, then apply beard oil. The Egyptian black beard oil comes with a dropper. Now, initially, we did not like the dropper and would have preferred an alternative way to access the oil. However, over time we adjusted to the dropper. A little bit goes a long way! And you don’t want to apply too much. Start with one or two drops, rub and comb into your beard, and if you feel like you need more then add. Just start with a little bit so you don’t overdo it. Once you’ve manually rubbed your beard oil, follow up with a comb. If your beard isn’t long enough for a comb…you don’t have a beard! haha. But you can still use the beard oil to promote healthy and comfortable growth. If you don’t have a comb specifically for your beard, get one. Plus, the Dapperman beard oil will leave your comb smelling super good. What else can you use beard oil for? Even if you don’t have a beard, we found that the essential oils in the formula also made our skin look nicer. It may make your face look too oily for day use, but if you want to use it as a facial moisturizer at night, we support that decision. Dapperman also has a few hair products. We tried the Dapperman Pomade and the Dapperman Matte Clay. 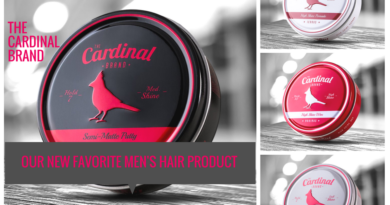 We’ve reviewed other men’s hair products in the past, and in fact, not too long ago we looked a new men’s hair product line called The Cardinal Brand. We would probably lean toward The Cardinal Brand for a pomade or clay – they had a better hold, and a preferable scent. However, if you are a brand loyalist and rock a beard, then you might as well stick with Dapperman. Plus, the Dapperman hair products were incredibly water soluble which helped a lot with keeping hair cleansed and clarified. The Pomade has a lighter smell, almost a little fruity. Not entirely on cohesive with the beard oil. But it still smells great. It also adapts to whatever style you are looking for. If you have long hair and want something more relaxed, it does that. If you want something a little tighter, it can accommodate. It really is an all-purpose hair product, skewing closer to a light hold. The pomade washes off from your hands very easily! This is a huge relief. 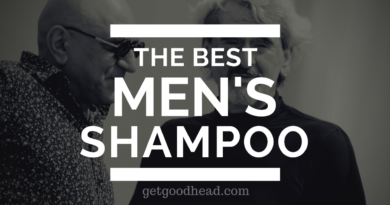 We’ve found that SO many men’s hair products style hair great but then stick to your hands. You won’t have to worry about that with the Dapperman pomade. Dapperman advises styling on clean, dry hair. However, if you want a slicker look, then we suggest styling with damp hair. The Dapperman clay has a stronger hold (duh) and a more floral scent. Also water soluble, this product easily washes off hands. Now, this product didn’t maintain it’s quality in the can as long as the pomade. So, if you are an infrequent user of hair product and need something to stay good for 6 months or longer, we would suggest not using the clay. Dapperman does suggest storing your matte clay in temperature between 60-80 degrees Fahrenheit. This could assist in maintaining the quality of the product in the can. However, if you use hair product daily (or every other day), then this is a good pick. You can go from work to cocktails and not have to worry about losing hold. This is truly an all-day solution for super busy man. That’s probably the main reason we love the Dapperman’s righteous hold matte clay. Ranking the overall quality and value of these products we’d say that the beard oil is #1 and the other hair products are tied for second. The beard oil is a no-brainer. Go get it, now. The other hair products will be perfect for some guys, and an appropriate alternative for other guys. 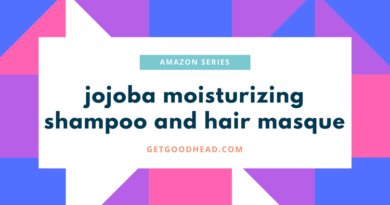 Remember, the key to keeping your hair looking amazing, and setting hair trends, rather than keeping up with them, is to continue to experiment with styles and products. The product you were using 10 years ago has likely been improved – so why not try another brand? Have you used Dapperman? What are your thoughts? Leave us some comments and reviews in the comment section. Or, if you want to contact us directly, please do. Thanks for the kind words and the well published review. It means alot to us here at Dapperman!